I just wanted to extend my thanks for all the love that Daily Do Good social media has been giving to the Volunteer Reston accounts. I just recently started my position here and have been in charge of getting all of our social media pages up off the ground, and while it's fun work it's also challenging. So I really appreciate the support you and your team have been giving us! And I passed on the newsletter to some of my team members too - they loved it. Each week, we spotlight a different organization that is doing good and making a difference in our community. Find or post volunteer opportunities. Let us know about an upcoming fundraiser or charitable event. Get more involved with the Daily Do Good. We all have good to share. What's yours? DDG is only one way we help you do good. 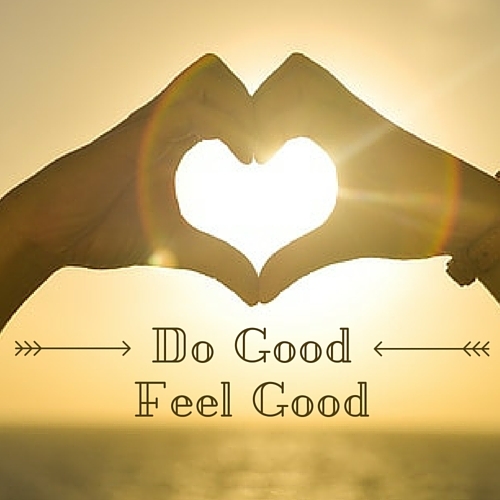 Do Good LLC provides tips, tricks and consulting services to help nonprofits and socially conscious business grow their good every day.